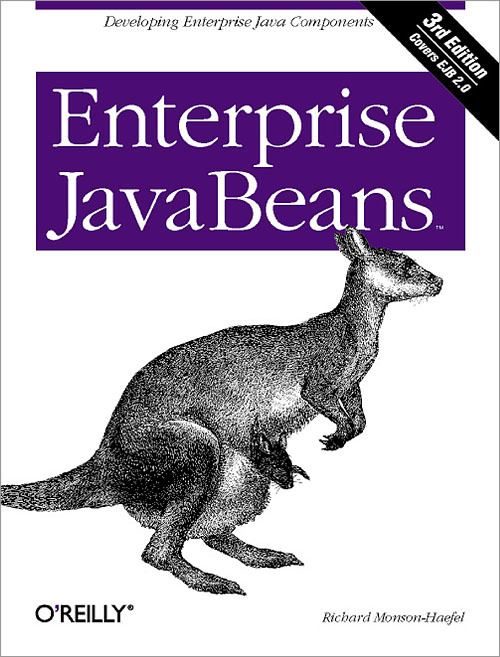 Enterprise JavaBeans was recently voted "Best Java Book" by the editors and readers of Java Developer's Journal. Readers of JavaPro named it the "Best Java Book for Experts." And Amazon.com included it in the Top Computer Books for 2000. Now the best only gets better! In the new 3rd edition, Enterprise JavaBeans has been completely revised and updated with a thorough introduction to the new 2.0 version of the EJB specification. Significantly different from the earlier version, the 2.0 specification introduces three dramatic improvements: A completely new version of container-managed persistence; local interfaces; and a totally new kind of bean called the "message driven bean." The new version of container-managed persistence (CMP) beans in 2.0 is more portable and robust than in the older 1.1 version. Most significant is the introduction of the relationship fields, which allow entity beans to declare relationships with each other as natural references. In order to make this huge leap in component relationships possible, EJB 2.0 had to redesign how entity beans are defined and interact. Our new 3rd edition examines this critical CMP model in detail. Local interfaces are thoroughly discussed as well. Local interfaces allow beans that are co-located to interact without the overhead of remote method calls. This improves the performance of beans considerably and complements the CMP relationship fields. Message driven beans are a new kind of enterprise bean based on asynchronous messaging and the Java Message service (JMS). Instead of responding to Java RMI calls, message driven beans process JMS messages sent by messaging clients. An entire chapter is devoted to message-driven beans and how to use them effectively. In addition, the 3rd edition contains an architecture overview, information on resource management and primary services, design strategies, and XML deployment descriptors. What Is an XML Deployment Descriptor?